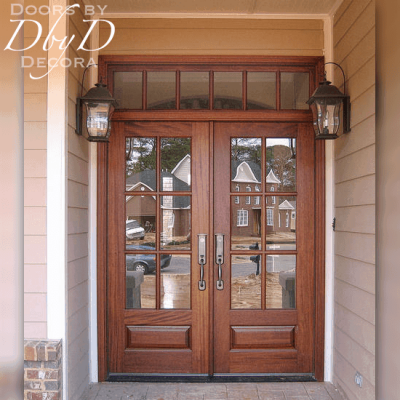 Your front doors are the first thing someone sees when they drive up to your home. 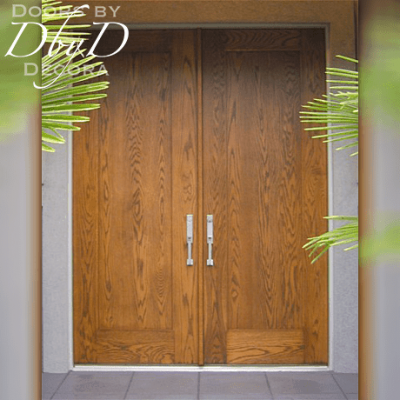 We all know that first impressions are everything, so let us help you make the best impressions possibly with a custom build pair of double front doors. 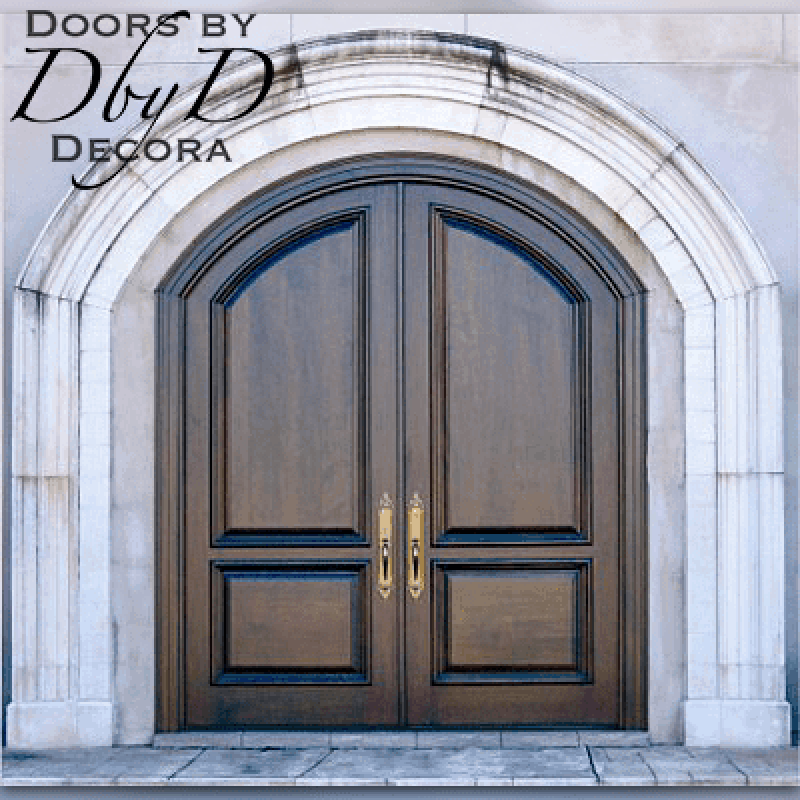 First of all, you will find that Doors by Decora’s double front doors are a fundamental part of all of our door collections. 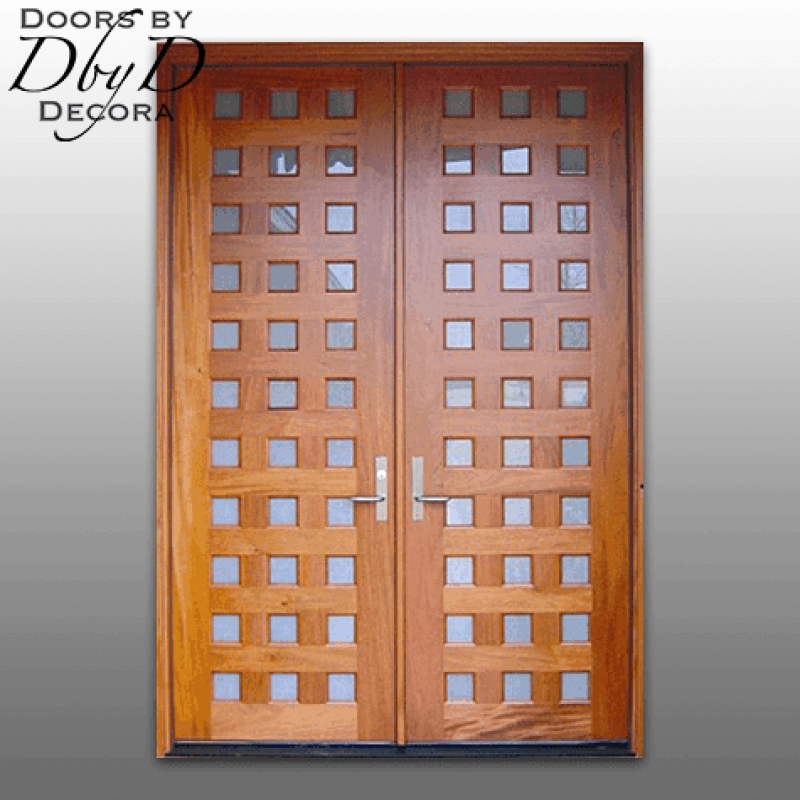 In addition, we can design these doors to be very traditional or ultra modern. 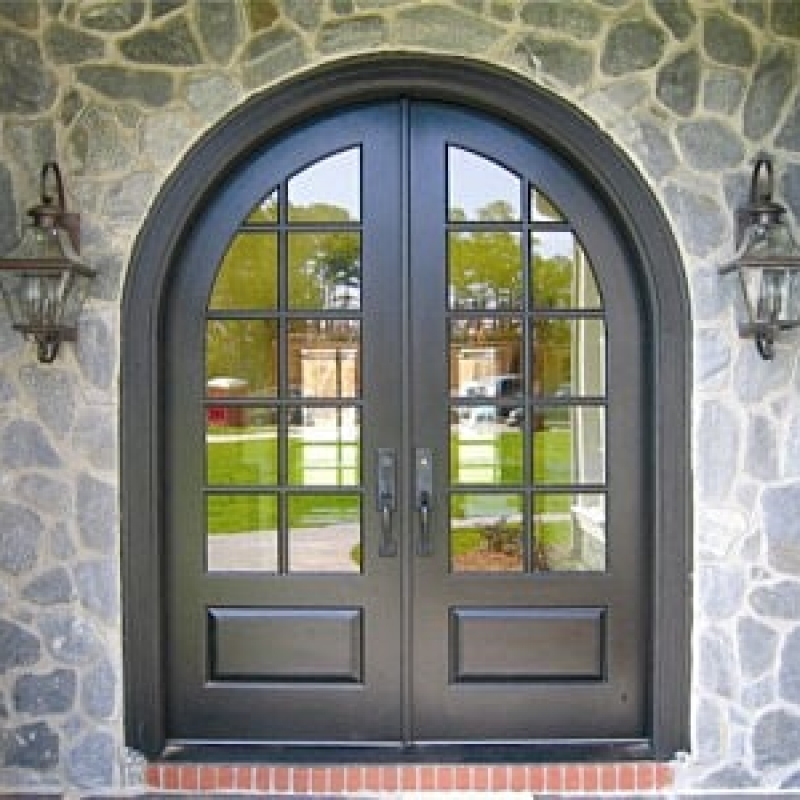 On way we can achieve this is through beautiful leaded glass, or with custom designed solid wood panels. 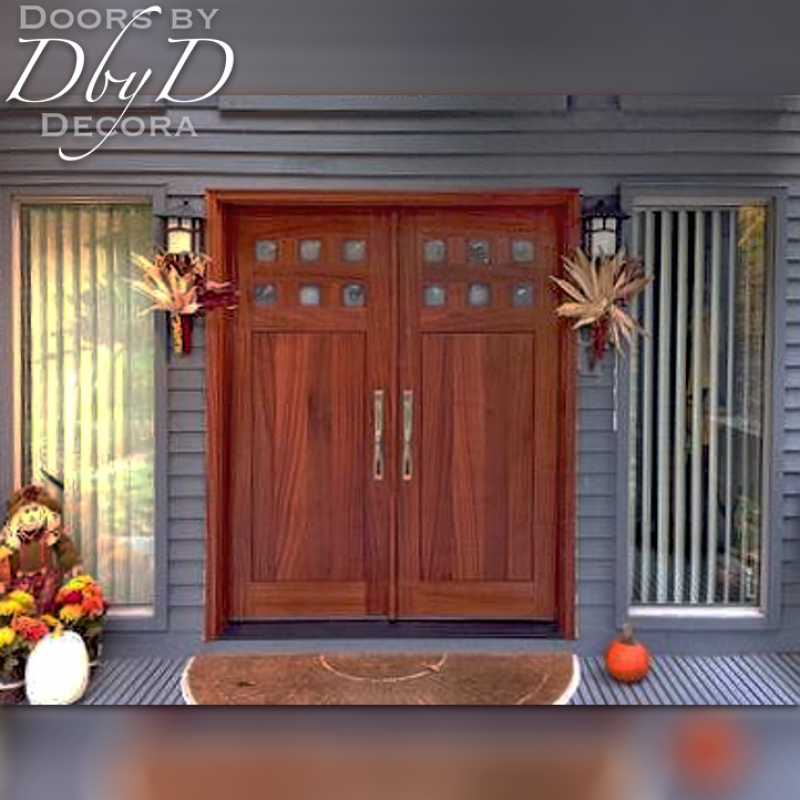 You will see some of our favorite double front doors below, or view All Doors. 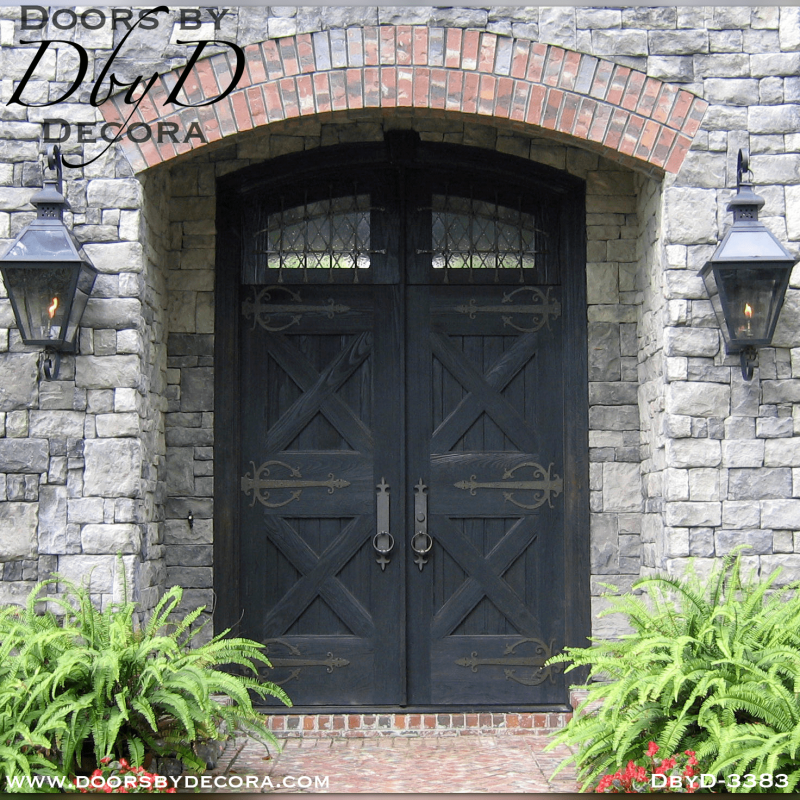 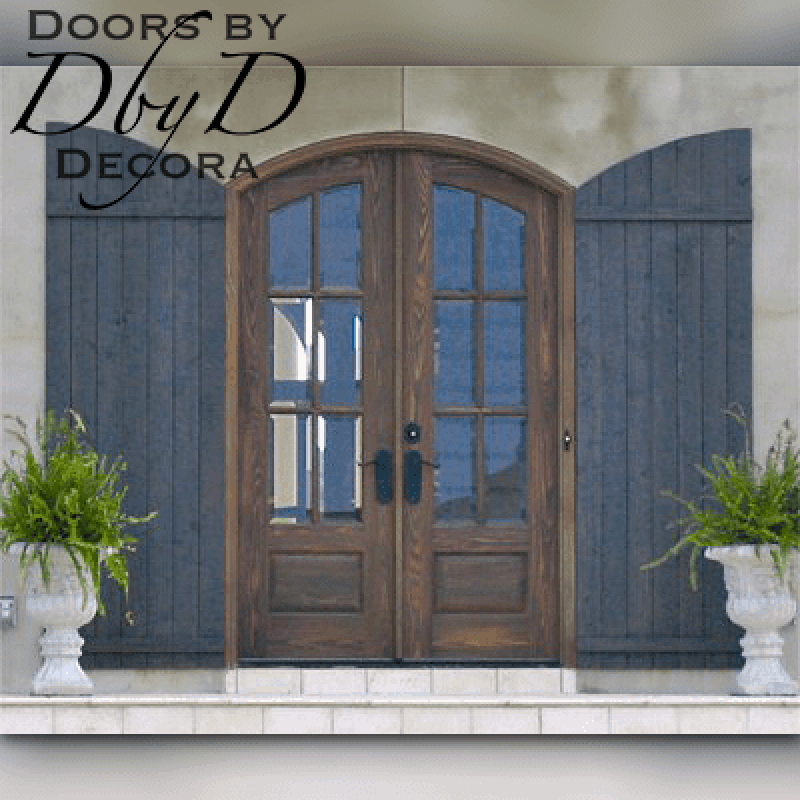 At Doors by Decora, we use many design elements so our double front doors are the most beautiful, striking doors around. 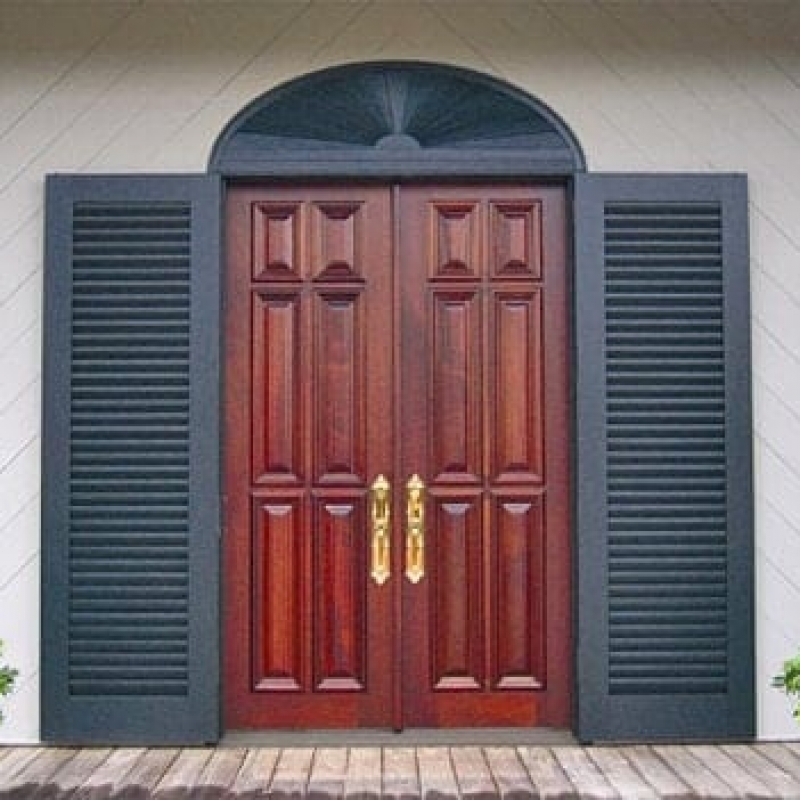 Our customers can select from our standard molding and panel profiles, or use something different to truly make your door one-of-a-kind. 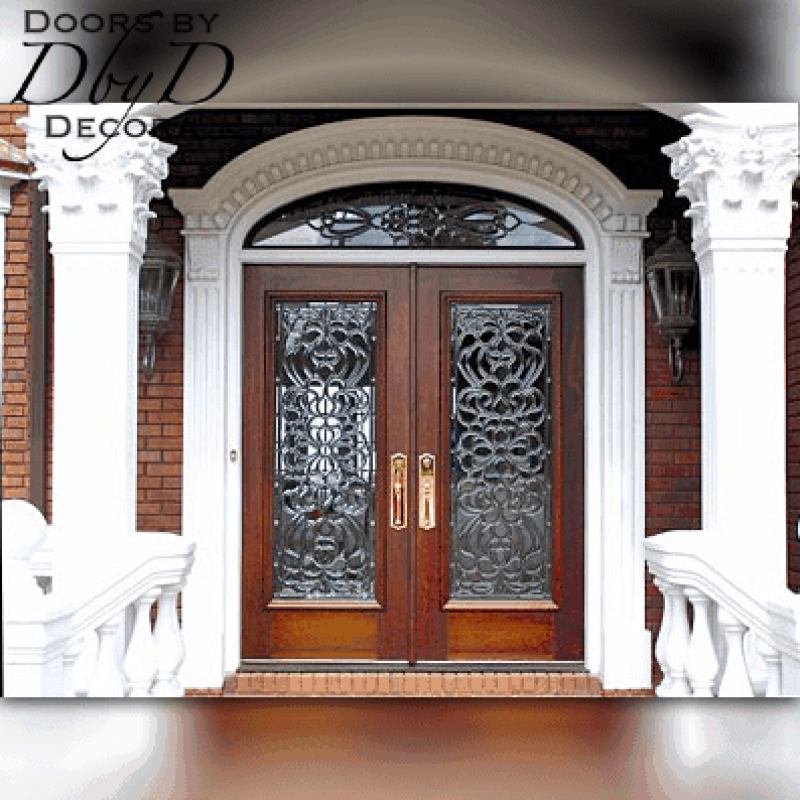 Furthermore, we also have our own in-house glass studio where all of our leaded glass is custom built. 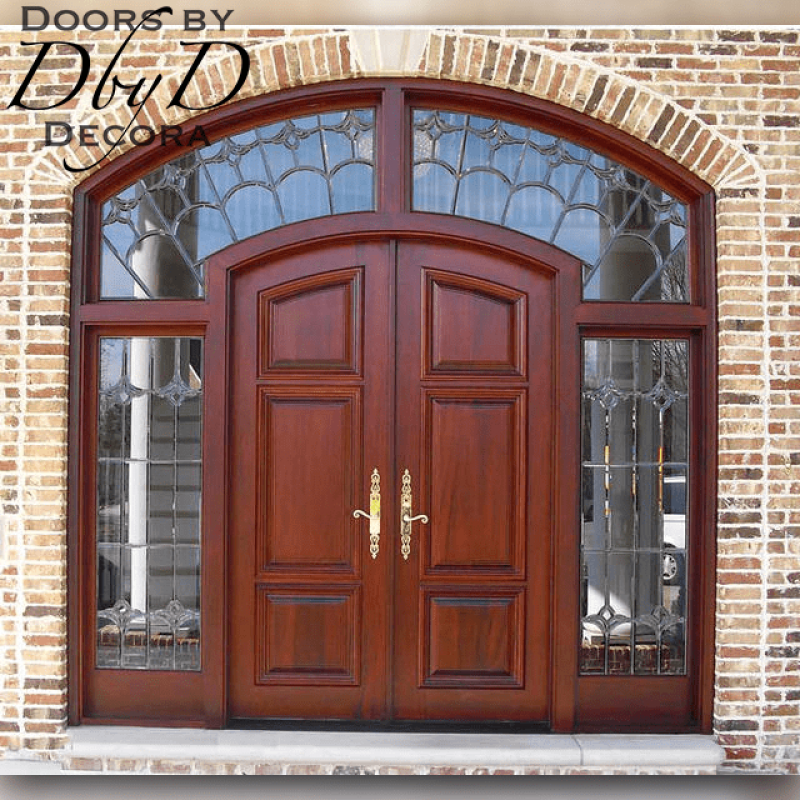 Our stained glass artisans can work with you to custom design something just for you, or even take an existing design and modify it to fit the door style you have selected. 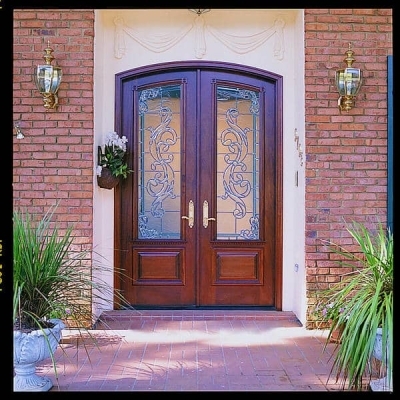 Because we build all our glass, we can modify any of our existing designs with color and texture to add privacy if you prefer.